Another one from the Stillwater Wetlands. 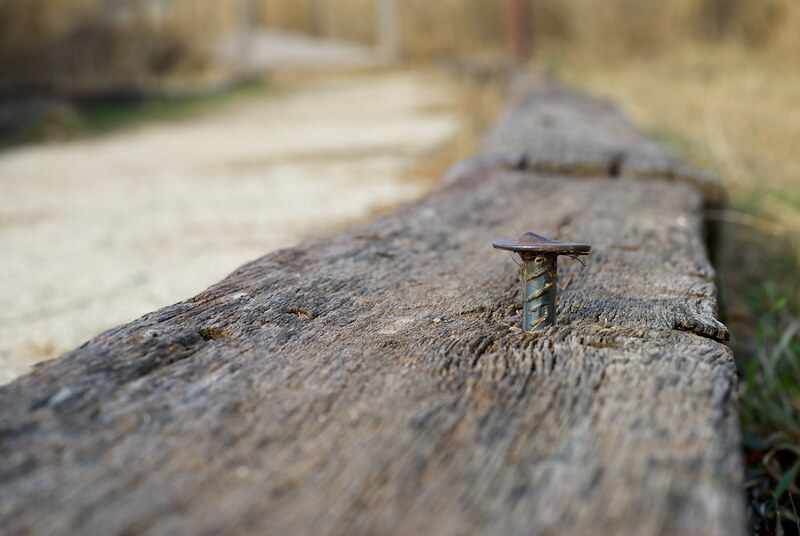 A limestone path was lined with railroad ties, and I’m not sure how long the path has been there but this nail must have managed to work its way up over time. Perhaps a maintenance worker will come pound it back into place, but hopefully not for a little while.